Jammu, April 27: Showcasing a humanity and loving gesture ones again, the Indian Army on Thursday repatriated a 12-year-old boy, who is resident of Pakistan occupied Jammu and Kashmir inadvertently crossed the Line of Control (LOC) on April 22. Notably, a 12-year-old boy named Mohmmad Zahid on April 22 lost his way and crossed the Line of Control (LoC) to enter the Indian side. As soon as he inadvertently entered Poonch district after which the Army personnel guarding the Line of Control (LoC) in Balakote sector arrested him and took into the custody. 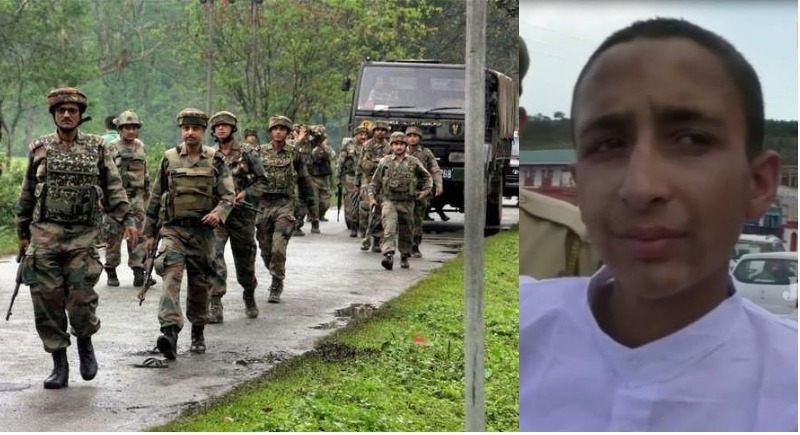 However, finding him innocent in the initial investigation, the Indian Army immediately handed him over to Pakistan authorities after the completion of the documentation process. Before moving to his land, Mohmmad Zahid while describing it as a goodwill gesture said that the humanity has no border. This is not for the first time when Indian army repatriated safely to those who crossed LOC and entered into India mistakenly. In May last year, the Indian army has repatriated two young boys named Wasalat Khan and Mohammad Iftikhar Khan who were the residents of Pakistan occupied Jammu and Kashmir inadvertently crossed the Line of Control (LOC). On the other side, no instances took place from Pakistani side due to their hatred against India. Amidst high tension between New Delhi and Pakistan over the issues of Jammu-Kashmir and terrorism, it is the Indian army who remained disciplined and never treated any of the Pakistani civilians with false actions.